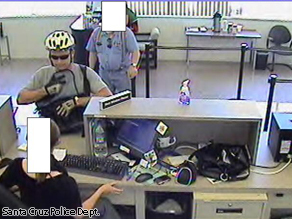 The California bike-riding bank robber has struck again. 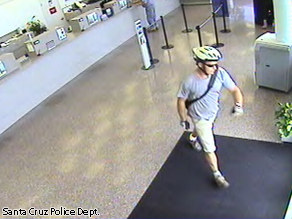 The suspect, who uses a two-wheeler for his getaways, held up a bank on Monday afternoon, the Santa Cruz Police Department said. He handed a teller a note demanding money and stated that he had a weapon, police said. The robber left with an undisclosed amount of money. The suspect was last seen pedaling away from the bank, a mode of transportation that Friend said may give a criminal an advantage. The suspect is described as a white male in his 40’s. He has brown hair and is believed to be 6’1” and 170lbs. BP's Chief Operating Officer Doug Suttles tells a New Orleans newspaper that knowing how much oil is gushing out of that well is irrelevant. We're keeping them honest. Plus, a major ruling from the U.S. Supreme Court on handgun ownership. 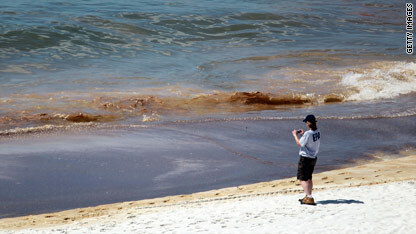 An EPA worker takes photos of oil coming ashore in Orange Beach, Alabama. Tropical Alex is taking aim at South Texas, but it could still cause trouble in the Gulf oil leak zone. Crews need calm seas to bring in a third rig called the Helix Producer to capture an additional 20,000 to 25,000 barrels of oil per day. But Alex could create waves as high as 12 feet in the area. "That will restrict our ability to do these operations" for as much as a week, said Kent Wells, BP senior vice president of exploration and production. The federal government is also keeping a close eye on the storm. "We all know that the weather is unpredictable and we could have a sudden last minute change," said Coast Guard Adm. Thad Allen, who is coordinating the federal response to the spill. We'll have the latest on the storm's path tonight on 360°. We'll also show you how BP got a big break before it even started drilling at the Deepwater Horizon site. 360's Joe Johns has discovered that the oil company didn't have to comply with a tough law that would have forced it to fully assess what risks the rig might pose to the environment. That's because the federal agency that's suppose to regulate the industry didn't believe the rig would cause any environmental damage. You read that right. The Minerals Management Service, now known as the Bureau of Ocean Energy Management, Regulation and Enforcement, didn't think the rig was an environmental risk. That meant BP didn't have to detail what equipment it was using or even the place it was drilling. BP got to skip what would have been the toughest environmental review before drilling for oil. It gets worse. It's not just BP and the Deepwater Horizon. Joe has discovered most oil companies working in the Gulf get a free pass. We're talking about hundreds of oil projects underway right now with no environmental review. We'll break down the numbers for you. We're also digging deeper into the mental anguish linked to the oil disaster. 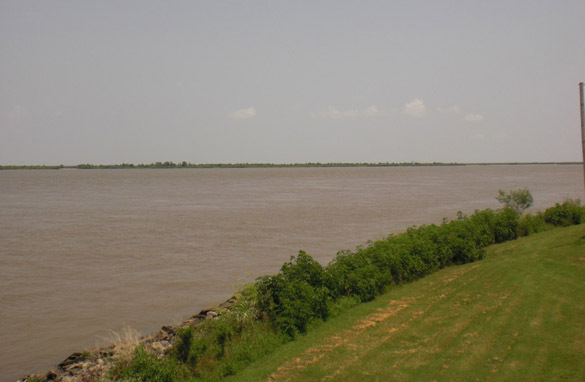 "There exists anger, anxiety and uncertainty among the families and communities affected by the spill, which will easily manifest into addiction and various forms of mental health crisis if not confronted," Louisiana Department of Health and Hospitals Secretary Alan Levine wrote in a letter to BP Chief Operating officer Doug Suttles. That's his second letter to Suttles. As 360's Randi Kaye has uncovered, back on May 28th, Levine sent his first letter asking BP for $10 million to treat mental illness. 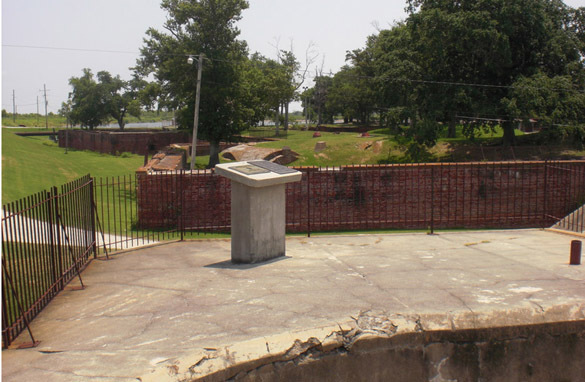 On June 13th Suttles responded, not with a check, but with a letter. Suttles wrote he's had "spirited discussions" with the state of Louisiana and looks forward to "continuing the dialogue." Levine told Randi today, "There's no time for dialogue. We need them to support this." So, Levine sent his second letter to BP today requesting again $10 million. Randi asked BP for a response. See what they told her tonight on the program. An original cast member from television’s “Melrose Place” was formally charged in New Jersey Monday with vehicular homicide. Amy Locane-Bovenizer, 38, was accused of driving under the influence when she allegedly crashed into another car, killing a passenger, the Montgomery Township Police Department said. According to the authorities, Locane-Bovenizer, of Hopewell, New Jersey, was driving a 2007 Chevy Tahoe Sunday night when she struck a 2010 Mercury Milan driven by Fred Seeman. Helene Seeman, the passenger in the Milan, was pronounced dead at the scene, police said. Mr. Seeman was airlifted to a hospital with serious injuries. In addition to vehicular homicide, Locane-Bovenizer was charged with assault by auto. She faces 5 to10 years in prison if convicted, authorities said. Locane-Bovenizer played Sandy Louise Harling on “Melrose Place.” She has appeared in several films, including “Airheads,” “Cry-Baby,” and “School Ties,” according to the Internet Movie Database. 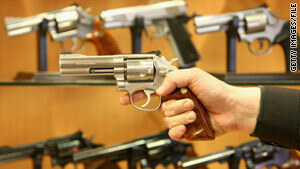 The court says individuals have equal or more power than states in the possession of certain guns for self-protection. In another dramatic victory for firearm owners, the Supreme Court has ruled unconstitutional Chicago, Illinois', 28-year-old strict ban on handgun ownership, a potentially far-reaching case over the ability of state and local governments to enforce limits on weapons. A 5-4 conservative majority of justices on Monday reiterated its 2-year-old conclusion that the Constitution gives individuals equal or greater power than states on the issue of possession of certain firearms for self-protection. 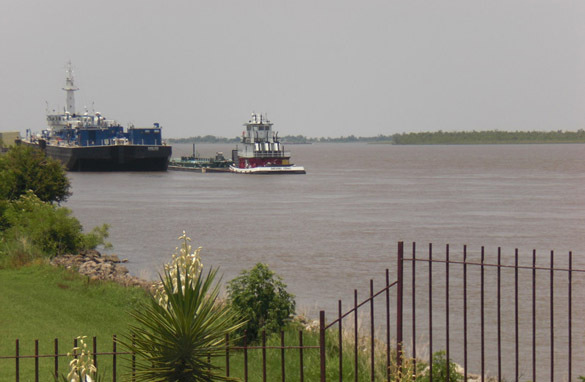 I traveled to Plaquemines Parish with General Honore to see parts of the Gulf Coast firsthand. We made it to the area's lowest point, where sea and land levels meet, and saw some cool things along the way. They're at the top of the ocean's food chain - but it is still a mystery how the oil disaster is affecting the shark population in the Gulf of Mexico. Even if sharks never touch the oil slick, their sources of oxygen and food are at risk. 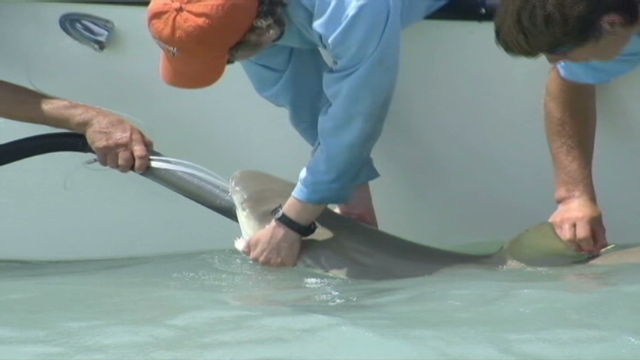 And a reduced shark population could impact the entire Gulf ecosystem, according to Neil Hammerschlag, a researcher at the University of Miami, who has been studying sharks for a decade - tagging them to determine their migratory patterns and other behaviors. Today, his research focus has changed. "The oil spill opens up a whole new avenue for critical research," says Hammerschlag. It's beginning to feel like this has been with us forever. And harder for us to believe that one of these days, or months, or years, it will be gone. 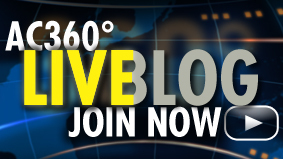 It's the live video feed from the bottom of the Gulf of Mexico. 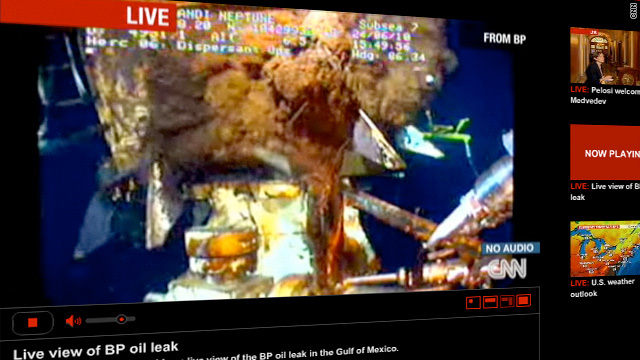 When BP engineers lowered those cameras in the first place, you can bet they never imagined that the resulting pictures would be watched by hundreds of millions of infuriated people around the world. They were for in-house use - to monitor the well, a well that was intended to be an uncontroversial source of enormous profit for the oil company. The cameras were like the security cameras that most corporations install around their office buildings. Just a little something so the bosses can keep their eye on things. It is Day 70 of the Gulf oil crisis. 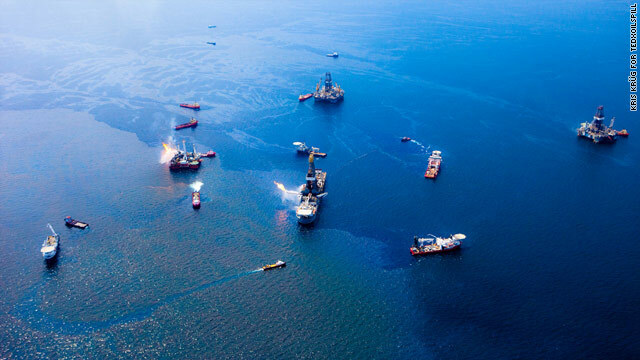 Millions of words and thousands of hours of video have been devoted to the explosion at BP's Deepwater Horizon rig and the gushing of oil into the Gulf of Mexico. And yet the organizers of a conference in Washington on Monday think that there's actually a shortage of information about the disaster. The two technology entrepreneurs behind the conference, TEDx OilSpill, said they are hoping the event will start to fix that problem. "There's sort of this void right now with information coming out of the Gulf," Nate Mook said. "Something catastrophic has happened. Most people don't understand the underlying issues that led to this happening. They're really not aware of all of the complexities behind their getting into their car and driving. ... It's brought to the forefront a lot of things that have been on the sidelines for a long time - with our oceans, with how important the marine ecosystem is, with where we are getting our energy, what are we putting at risk, and ... new technologies being developed." To answer those questions, an array of speakers, from ocean explorer Sylvia Earle to energy expert Amory Lovins to "Leroy Stick," the anonymous creator of the fake BP Twitter (@BPGlobalPR) account with more than 179,000 followers, will speak onstage at the Woolly Mammoth Theatre in Washington from 9 a.m. to about 7 p.m. The event will be streamed at: http://tedxoilspill.com/live/ And people will gather to watch the stream or discuss the issues in 125 meetups around the nation and world.